Burt Lake is one of the prominent boating and fishing destinations in Michigan. Located roughly in the middle of the Inland Water Route of the Cheboygan River Watershed, Burt Lake is a popular starting point for all kinds of adventure. The Inland Waterway has over 40 miles of navigable lakes and rivers, including Pickerel Lake, Crooked Lake, the Crooked River, Burt Lake, the Indian River, Mullett Lake, and the Cheboygan River. Burt Lake is a drainage lake with water flowing into and out of the lake. In fact, water flowing into Burt Lake will be retained for just over a year before it is flushed out. The primary inlets include the Maple and Crooked Rivers to the west, the Sturgeon River in the southeast corner and Carp Creek in the north end. The only outlet is the Indian River in the southeast corner. Extensive wetland areas are located adjacent to the lake between Maple and Poverty Bays on the west-central shoreline and at the northern end of the lake. The Burt Lake Watershed extends from northern Emmet County southward to the City of Gaylord in Otsego County, and from near the east side of the City of Petoskey in Emmet County to Indian River in Cheboygan County. Although immense, much of the watershed is sparsely developed, including large wilderness areas in the Sturgeon River and Maple River Watersheds. The Burt Lake Watershed includes extensive forested wetlands with trees such as white cedar, balsam fir, red maple, balsam poplar, and black ash. Informational signs were installed at boat launches around Burt Lake to educate boaters about invasive species and clean boating practices. 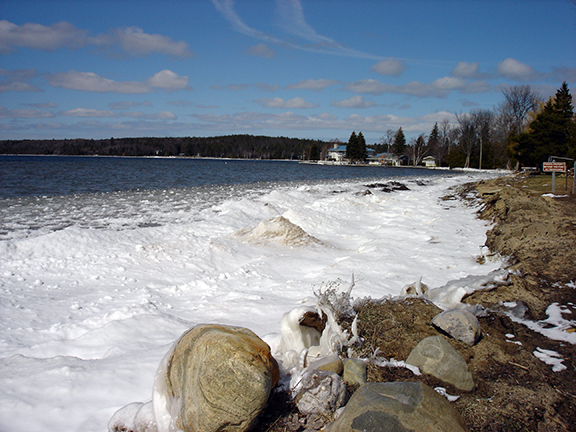 Burt Lake is monitored every three years through the Watershed Council’s Comprehensive Water Quality Monitoring (CWQM) Program for dissolved oxygen, specific conductivity, pH, nitrate-nitrogen, total nitrogen, total phosphorus, and chloride levels. Water transparency, chlorophyll-a, and water temperature are also monitored in Burt Lake each summer by volunteers as part of the Watershed Council’s Volunteer Lake Monitoring (VLM) Program. The Watershed Council worked with the Burt Lake Preservation Association (BLPA) and Pickerel-Crooked Lakes Association on the Purple Corps Project (2008) to document and control purple loosestrife infestations. Invasives monitoring has been performed on Burt Lake through a National Fish and Wildlife funded project to document and control invasives in the Cheboygan River Watershed during 2008-09 that focused on invasive Phragmites and quagga mussels, resulting in development of a management plan called the Survey Results and Management Recommendations For Phragmites and Quagga Mussels In the Cheboygan River Watershed. The Watershed Council also worked with the BLPA to identify, map, and control Eurasian watermilfoil infestations from 2005 to 2007. Burt Lake has been part of a larger study of the Inland Water Route walleye populations involving multiple partners including MDNR, MSU, Little Traverse Bay Bands of Odawa, Watershed Council, BLPA, and many others. Results show Burt to have the strongest walleye fishery, with natural recruitment, among all of the lakes in the Inland Waterway that have been studied. ​The Mission of the BLPA is the preservation and improvement of Burt Lake and its watershed for quality use by future generations. To do this we will unify the lake community to confront the key issues involving the lake and its watershed. Working in cooperation with federal, state, and local government entities, educational institutions, foundations, conservancies, and other resources, the Association will contribute financial and human resources to fill this goal. 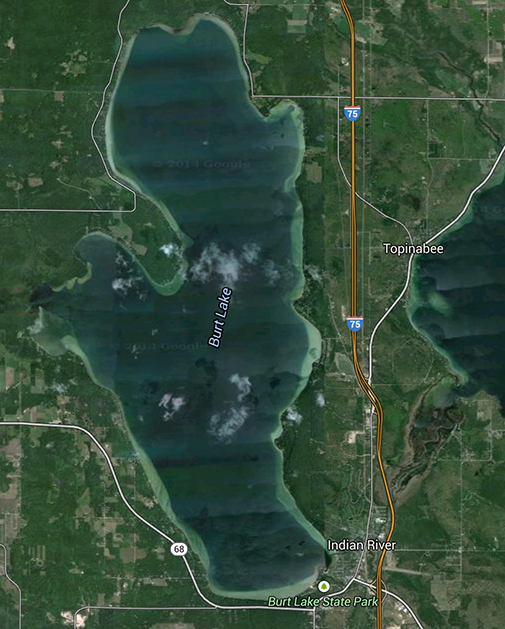 View an interactive map of Burt Lake, including public access sites, on Michigan Fishweb.